Of the five U.S. supercomputers on the top 10, the only system not belonging to the DOE is Pleiades, which belongs to NASA. 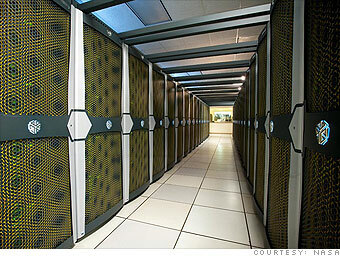 It is the seventh most powerful supercomputer in the world. Pleiades enables NASA scientists and engineers to conduct modeling and simulations for NASA missions. It was designed by SGI, the same company that made the computers for the movie "Jurassic Park." The supercomputer is named after an astronomical open star cluster.